In the 1977 spy thriller, Telefon, Soviet sleeper agents in the United States are activated by a rogue KGB officer on the run, played by Donald Pleasance. The agents are triggered into action by a phone call and the recitation of lines from a Robert Frost poem. The sleepers move into action, conducting sabotage at US military installations across the country. Only one man can stop them and a possible nuclear war between the superpowers. 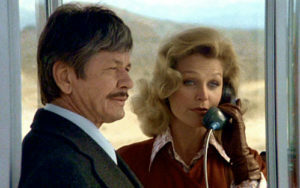 That man is Charles Bronson. Across the country, the dutiful servants and sleeper agents of the globalists are going into action against Mr. Trump and his populist campaign to Make America Great Again. Nearly the entire mainstream media, including certain people at Fox News like Megyn Kelly, are conducting a campaign of disinformation and the outright sabotage of Trump’s campaign. New Wikileaks releases this week reveal that network journalists like John Harwood at CNBC are working hand in glove with the Clinton campaign. CNN and Politico were recently caught fabricating post-debate polls that were loaded with three times as many Democrats surveyed as Republicans. What if all or most of the nationwide and state polls have been completely doctored to show Hillary winning? By always having Hillary ahead, by always portraying Trump as losing, possible Trump voters will sit home, thinking the election is already lost; and/or the Clinton campaign will hijack the election and her stolen victory will be seen as a fait accompli. No one has ever seen anything like what is happening in this election. A coordinated effort by the establishment is being conducted with the mission of annihilating Trump’s candidacy and crowning the globalist poster girl as the new President of the Corporate States of America. The mainstream media, certainly the DNC, the White House, the national security establishment, the bankers, the corporate cronies and the international financiers are all conspiring to destroy Mr. Trump. Trump is under attack from the left, the right and the center. Some of his greatest enemies are in his own party, the so called Never Trumpers, the so called GOP establishment who think that their form of big government, open borders, amnesty for all ‘conservatism’ will live on forever. They are wrong. It is already dead. They just haven’t figured it out yet. Reports have filtered out this week that it very well have been the GOP that released the Access Hollywood tape to the Washington Post. It may very well have been Trump’s own party and House Speaker Paul Ryan, who was responsible for an event that nearly destroyed Trump’s campaign. Paul Ryan has everything to gain by the destruction of Trump. Ryan is one of the major backers of the Trans Pacific Partnership trade deal, a deal which will put the final nail in the coffin in the US economy and certainly millions in Mr. Ryan’s pockets. Just as President Kennedy couldn’t remain in office if the globalists and their minions in the military-industrial complex were to march into Vietnam and continue the Cold War, Trump cannot be elected if the fall of America is to proceed on schedule. 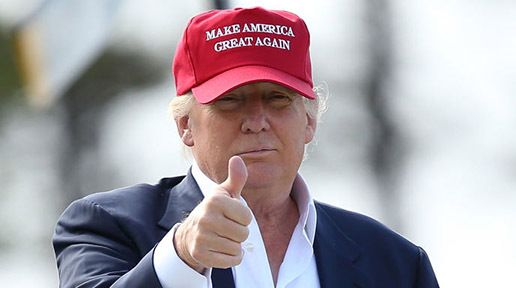 A President Trump is the death knell for the globalist trade and economic policies that are sinking American wages, outsourcing American jobs and subsequently jettisoning millions of Americans into poverty and a life of food stamps, welfare and no hope, all courtesy of the global elite. A President Trump is the death knell for open borders, unvetted Muslim refugees and the ludicrous social engineering in the military. A President Trump is the death knell for the insane neocon policies that seek a new Cold War and believe that the US can win a limited nuclear exchange with Russia. These are the same maniacs who believed they were going to establish Jeffersonian Democracy in the Middle East. They are dangerous people and they are finished if Trump is elected. The globalists will stop at nothing to destroy Trump. If their power and money and greed is to continue, Trump must be destroyed. The globalists have been in power since November 22, 1963. The current state of disaster in America is their doing. It’s time for Americans to take their country back. “They” are all very afraid of Mr. Trump. Dave Hodges (Common Sense) had a interesting take on what is or not?! All I can say is ‘I pray to God that Trump is for real’ – although, the way Trump became a candidate makes sense, but there’s a strong chance they may choose to take him out like Bobby’s brother?! IF TRUMP IS FOR REAL, THEY’LL NOT HAVE A ELECTION – for they know the phony electronic voting machine’s won’t work for them this time along w/their other shenanigans! *Their Guide is written in stone, the Georgia Guide stones! They know the world is on to them, they have no other choice but to act now – We’ll soon know the Lord’s thought’s on this all, HE’LL hit hard! The most powerful Tool in the universe is the prayers of the saint’s during times like these – Christ Jesus may choose to call His own (church) Home! Although, the fields have not ever been more white/golden for Harvest – This age is quickly waning! I’d fear God – man can only take your physical (yeah, could be slow torture) life but this is nothing compared to what the Lord has en store for the devil & his angels – man w/out Christ will spend eternity in the Lake of Fire – Fear God, fore He also loves us, thank You Jesus! I shouted for joy when I heard Trump tell Hillary she would be in jail if he was in charge. Thank God he has the strength and courage to stand in the maelstrom of their attacks and overwhelming malice to tell the truth to those arrogant traitors and liars who think they rule this country. In the growing darkness, God is still in charge, and may He bless, protect, and strengthen Donald Trump. The ‘elite are a SICK bunch. They love to see you in chains. I don’t know why. Amen to that. I think it is a disgrace. YOUR NOT GOING TO WIN DECREPIT SICK GLOBALIST, WE ARE ALREADY ON TO YOUR SLIMY GAME OF WHAT YOU ARE TRYING TO DO TO AMERICA ——WE ARE WANTING TO THROW YOU TO THE WOLFS AND LET THEM DESTROY YOU ALL.!!!!! !